ven in his "retirement" Dr. McMurray serves as adjunct faculty at Saint Joseph's Abbey Seminary College in Saint Benedict, Louisiana, where he teaches liturgical music, organ, and Gregorian chant. 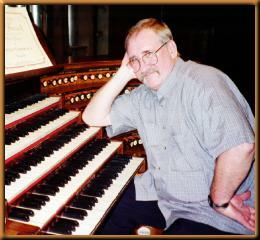 He is also assistant organist for the Abbey Church, and serves as a local consultant for organ design and installation. He holds music degrees from Tulane University in New Orleans (piano) and the University of North Texas in Denton (organ and harpsichord). He has considerable theological training, with an M.Div. from Toronto School of Theology (Toronto) and a Ph.D. from the Graduate Theological Union (Berkeley CA) where he specialized in the history and theology of liturgy and liturgical music. Dr. McMurray's expertise lies in Renaissance and Baroque music, in particular the organ music and cantatas of J.S. Bach, Gregorian chant, and contemporary French organ literature. He has played many historic organs in France, Germany and Scandinavia, as well as recitals in the USA, including an appearance with the Louisiana Symphony Orchestra playing Poulenc's "Organ Concerto in g minor." Choral compositions by Dr. McMurray have been performed by college choirs in Louisiana and by the Schola Cantorum of Saint Joseph's Abbey, for which many of the works were written.